One of Sony's major announcements at its E3 2008 press conference this week was the launch of the PSN's video download service for users to download movies to rent and buy on their PS3 at home or on their PSP on the go. Unfortunately, TechRadar has just discovered that the service is only currently available in the US. The service boasts major studio support from the likes of Sony Pictures, Fox, MGM, Lions Gate, Warner, Disney, Paramount, Turner and Funimation. The PSN video download store offers both SD and HD content, with TV shows starting at $1.99 per episode, movie rentals at $2.99-$5.99 per rental and $9.99-$14.99 for purchases. 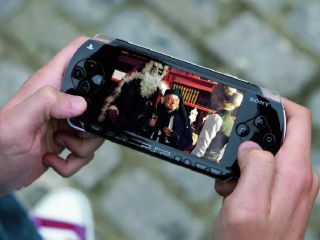 Movies can be played back on PS3 and/or PSP – they can be placed on multiple devices at the same time. A Sony Computer Entertainment Europe rep just confirmed for us that the service is planned for a European roll-out soon, although there are currently no details on planned dates and costs for Europe. In the meantime, UK PSP gamers can 'console' themselves with the fact that Sky's new Go!View service is now available, should they want to sign up to that to download Sky's own TV and movie content. Plus, there's a free month's trial on offer. At least that's something to keep us happy until we get the proper movie download service from Sony!